To begin with, Kazakhstan is an amazing country, suitable for tourism and road traveling as well as possible. It is safe to say that our tourism potential is huge. Unfortunately, not developed enough at this moment of time, but situation is slowly but surely changing for the better from year to year. So what makes Kazakhstan so universal and why are tourists’ opportunities so great here? As we know, Kazakhstan is a huge country occupying 9th place in the world by its vast territory. The total land area is 2 724 902 km². The population is only 18 millions, which is not much for such area. But at the same time it allows to watch and enjoy wild nature in tight access places. Man hasn’t left his mark everywhere yet and we still have such far corners of Motherland where a man is a rare guest. 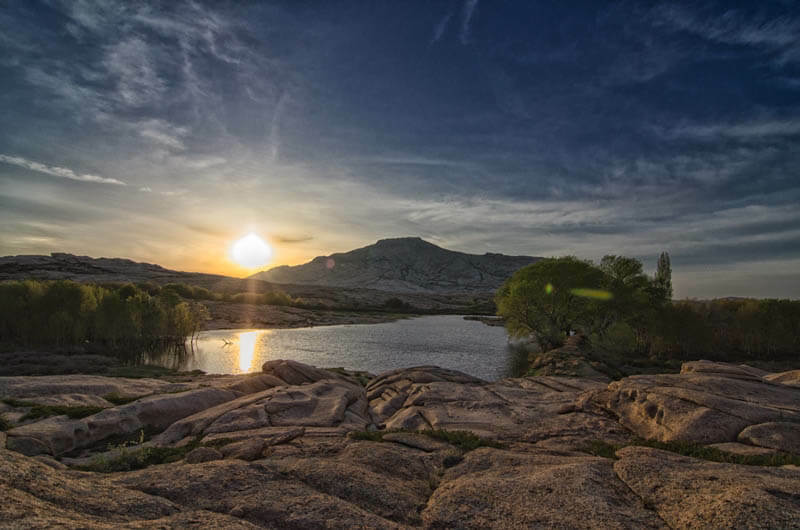 That’s what many tourists love Kazakhstan for, there is a real opportunity to feel unity with nature, explore local culture and life here, which still preserved its authenticity and customs outside of major cities. The globalization of the modern world has not yet fully captured our region, and this is not bad to some extent. It is good when untouched nature monuments remain, where you can completely “merge” with nature and embrace the feeling of endless freedom. There are almost all climatic zones and a variety of geographical and natural landscapes in our large country. Deserts, steppes, mountains, small uplands, alpine meadows, lakes and much more. Our team personally saw and continues to explore those distant and amazing places that exist in our beautiful country. Great experience and immense love of nature allowed us to discover many new interesting routes, in some of which we are even discoverers. Surprising but true – there are still such places in Kazakhstan. We are always in search of new and unexplored discovering the country from a new perspective for ourselves and and giving the emotions and beauty of our nature to guests and tourists, showing difficult to access and little-known locations where naturalness is a frequent phenomenon. You can understand and appreciate the scope of our universal love for nature by looking at our numerous and unique programs, which we are constantly expanding and adding new ones as we explore through personal visits to new places. This article is mainly about automobile travel (jeep tours) in Kazakhstan, in particular, the Almaty region, because our team is inhabitants of it, and respectively, it is studied better than others by us. 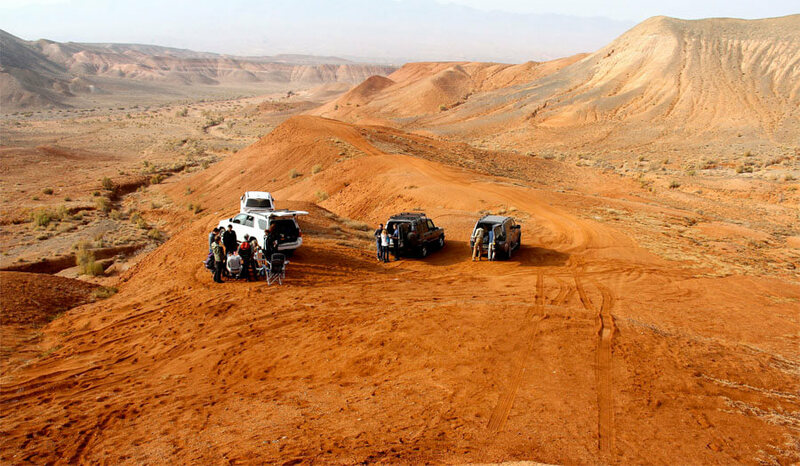 Kazakhstan is suitable for off-road (car) travel on a prepared car for many reasons. Of course, vast distances and changing climatic conditions play the main role, as well as the difficult access to many unique places of our country. Prepared car allows to overcome all this difficulties with comfort, giving a tourist an opportunity to observe and receive unforgettable impressions of the nature and beauty of Kazakhstan. 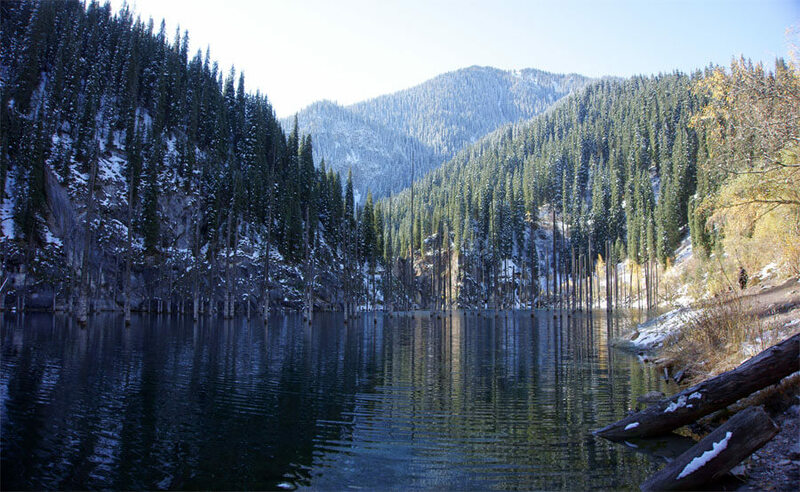 In Almaty region there are the most popular national parks which can be reached by car. Considering the great flow of tourists infrastructure and road leading to those places is built and repaired from year to year, becoming better and making the access easier for mass tourism. 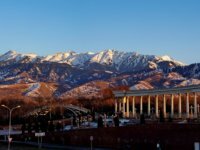 Below I will tell about most popular but nevertheless unique and beautiful places of Almaty region. 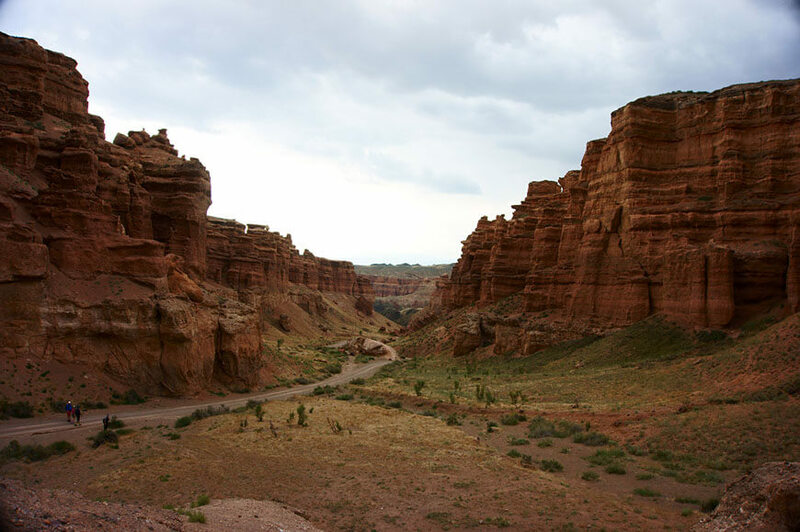 Valley of Castles of Charyn Canyon. This canyon with no doubt is on the top of the most popular and visited places in our region. 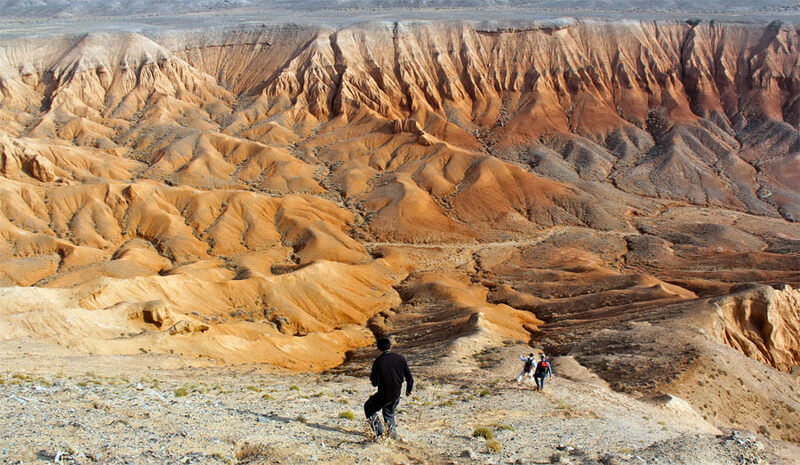 Every tourist necessarily visits Charyn, which causes no surprise or questions – those forms and general view that you see erases all understatement. There are not many places in the world with such forms of landscape and that is what makes Charyn Canyon incredibly popular. I will not describe the official information about occurrence of the canyon – there is a lot of information in the internet so I don’t see any reason to repeat it here. I just want to tell you about my own observations. Considering that I often have to take tourists to Charyn, I always watch their reaction with extreme interest. And it always causes incredible delight – all emotions are written on their faces and they are the best characteristic for this place. Infrastructure in Charyn canyon is developing very fast. Cafes and restaurants with delicious national cuisine down by the river (our hike route finish point) have been built just a few time ago. Prices are acceptable, by the way. There’s an opportunity to stay in bungalow or yurt for a night to feel all the national feature. Or you can just rent it for a few hours for review. Besides, yurt will perfectly cool down your overheated organism in the hottest summer time. You can also take a taxi or a horse ride down to canyon and back if you don’t want to go by foot. To sum up – all conditions are made for numerous tourists’ convenience. Valley of Castles is the main place to bring people for tour agencies, buses, private traders and others. Therefore it should be understood that there are a lot of tourists on weekends. 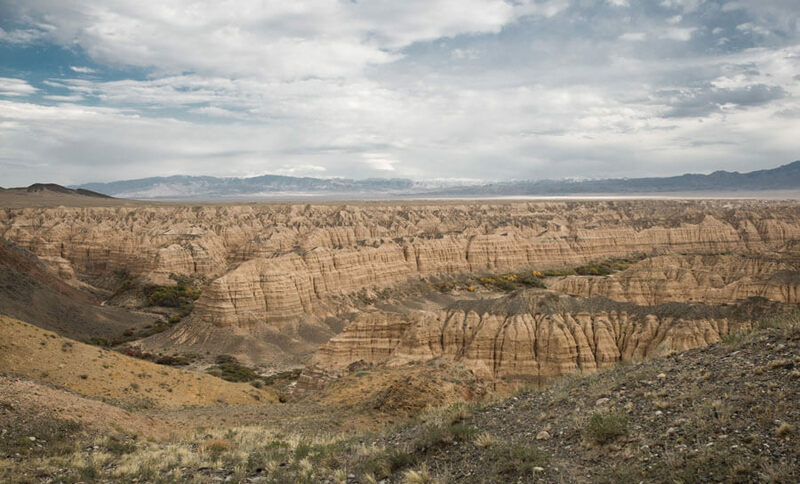 If you prefer more wild and secluded rest there are some different places which are also included in Charyn Canyon National Park – such as Yellow (Moon) Canyon, Bestamak Canyon and Temirlik Canyon. You will not meet buses and tourist groups here. The only way to get to Bestamak and Temirlik Canyons – on jeep or on increased permeability crossover. In our author’s programme there’s an all canyons tour. 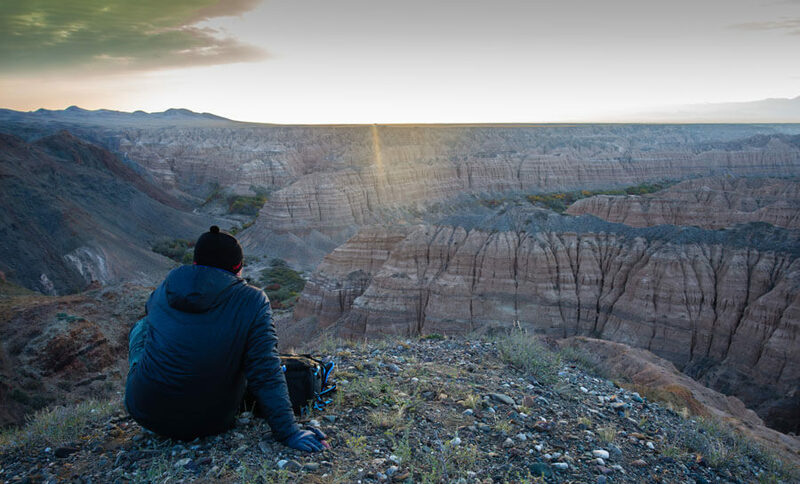 It allows to get the most complete and extraordinary experience of the unique array of Charyn Canyon. Visiting season is almost year-round but the best time is spring and autumn. Despite too hot summer the tourist flows are still high. We take people there in winter too – in this time of the year tours are almost absent and it is a rare opportunity to take a walk in the Valley of Castles in silence and loneliness. 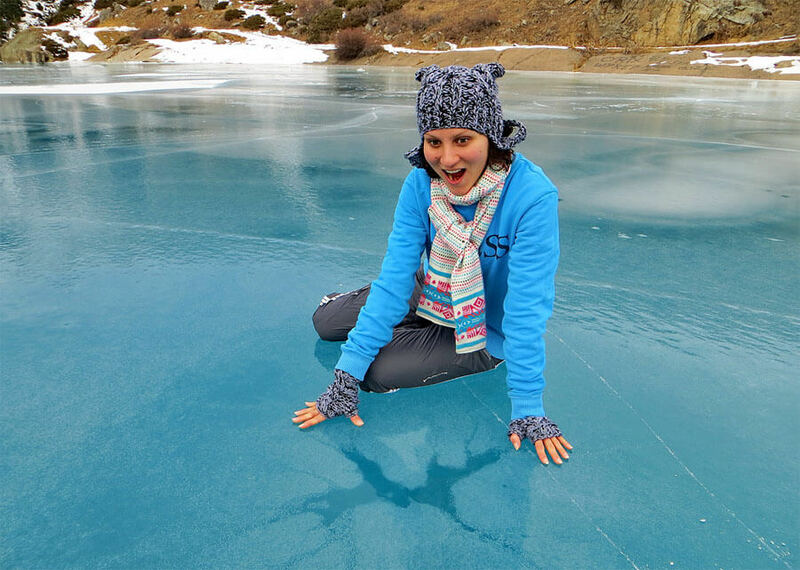 And even better option is to combine Hot springs and Charyn Canyon – this is the best winter combination to relax not only the soul but also the body. Thermal springs are useful for body recovery and immunity enhancement. Altyn-Emel National Park. 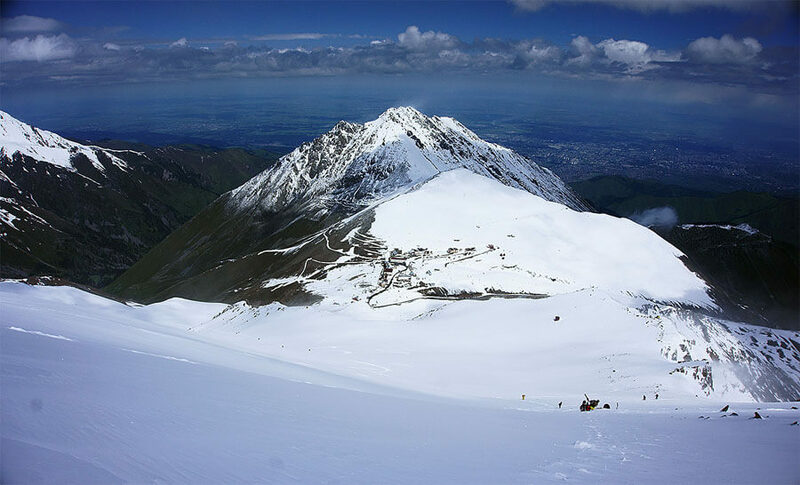 This place is also one of the most famous and popular for visiting in Almaty region. Altyn-Emel is a nationalpark with a big territory. One of its main purposes is biodiversity conservation – predominantly, koulans, argalis and goitered gazelles are tracked. Hunting is categorically forbidden. Local rangers and guides strictly follow this. 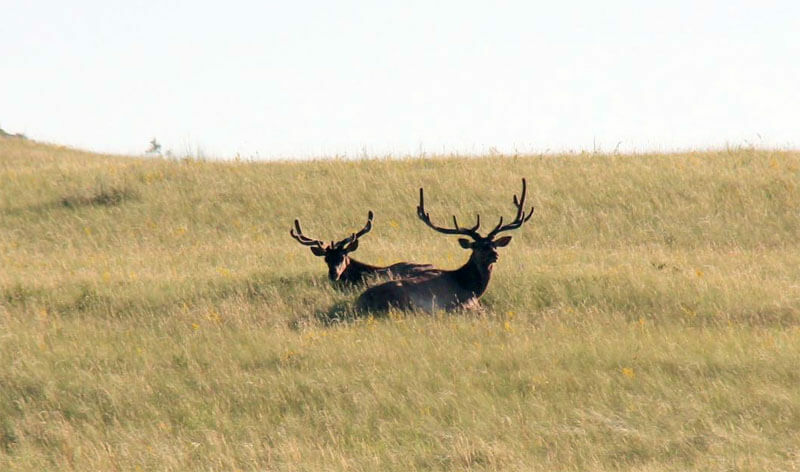 A lot of species of animals listed in the red book are dwelling on national park’s territory. The experiment of Przewalski’s horse reintroduction is also conducted here. The results, unfortunately, disappointing, because this kind of animal doesn’t take root in these conditions. But we are more interested in Altyn-Emel from a tourist point of view, and there is a lot to see there. Though it has to be mentioned that it is an infinitely beautiful spectacle when early in the morning or in the sunset lights kulans and gazelles are crossing huge extensive spaces with incredibly high speed. 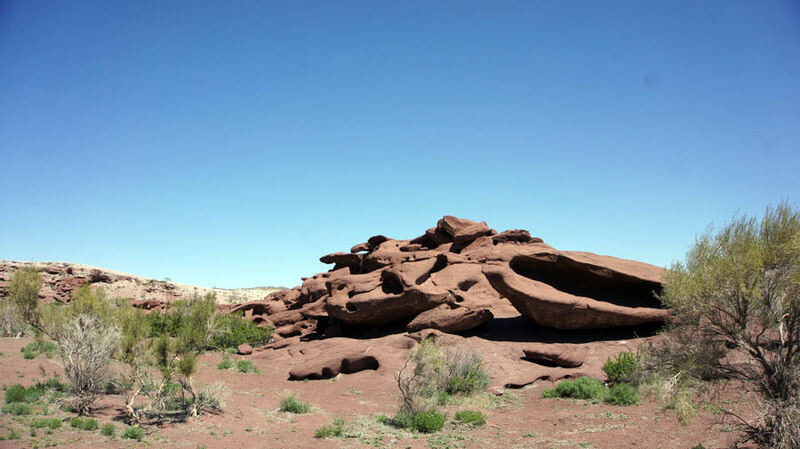 There are several main sights in Altyn-Emel. Primarily everyone goes to Singing barkhan, which is 130 meters high and 1.5 km long. Along the way usually visit Oshaktas stone stellas. The barkhan got its name because of the so-called singing – it reveals itself in grains of sand rubbing each other and sounds more like hum than singing. The barkhan can be heard if you slide down from it creating a friction. Sometimes the wind gives a chance to hear it. Many people like to take skies or snowboard and slide from barkhan. In our first visit we did the same. 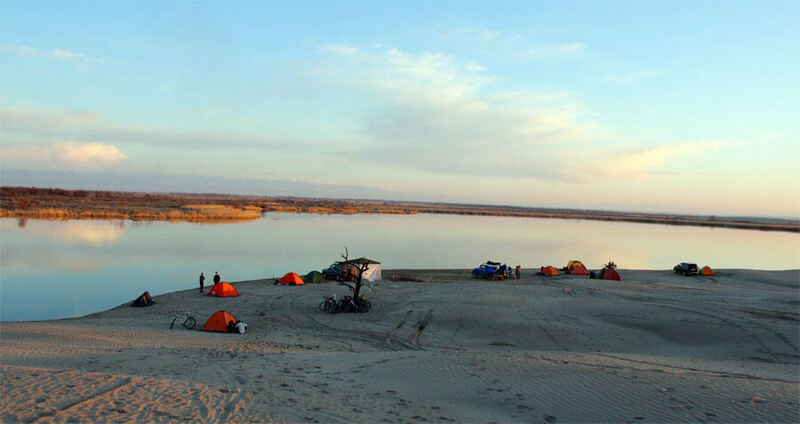 This place is beautiful and interesting, the top of the barkhan offers excellent view of the Ili river valley. Bus tours are usually limited to the barkhan, but to my point of view (and not the only one) there are a lot of more interesting locations to see. 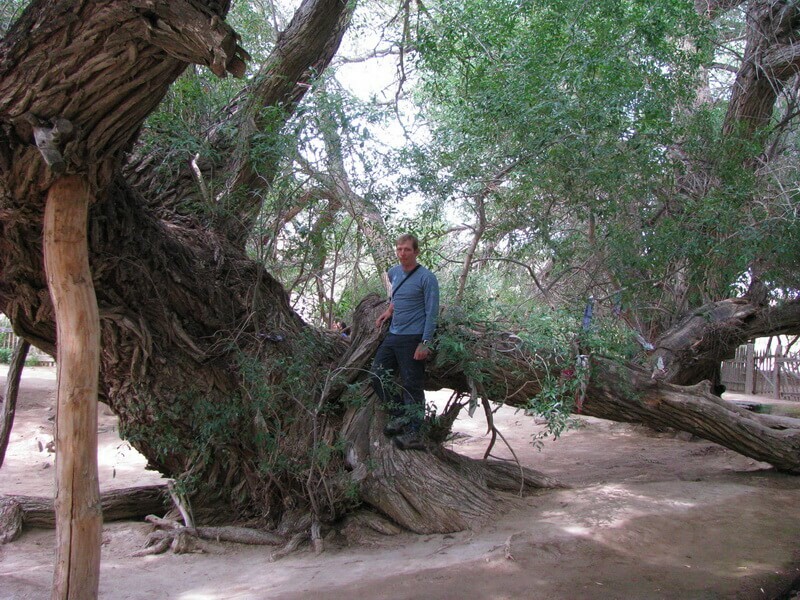 Arriving by car, after barkhan people usually go to famous 700 years old Willow. It is a big tree with such a solid age. It is situated in a fenced area and people often camping there. There are a river and a spring and the place is equipped with tables and benches. And, of course, trees, which provide an excellent protect from heat with their canopy’s shadow. Next stop after the Willow is Chalky mountains (Aktau in translation from Kazakh language means White mountains). Personally for me it is the most favorite place in the whole Altyn-Emel. Fantastic landscapes fascinate conscience with its variety, quaintness and forms. It is desirable to stay here for a whole day because the territory is large and you can take a walk and explore everything properly taking marvelous photos. There are also tables and benches. Campground is set nearby. Starry sky there is unmatched. In a good moonless night the Milky way is clearly visible. And the closing place is Katutau (Lava mountains). This is a fancy piece of lava that solidified millions of years ago. This solidified lava is of interest itself. We walked around the area once and explored those places in more details but there is nothing interesting there anymore. All tourists come to this lava, take pictures and go back. It’s not worth staying here for a long, one hour is enough. Tours there are usually organized for 2 days with viewing all mentioned sights, but as for me, I recommend to stay for a 3 days. For three days, you can see everything without hurry and spend more time in Chalky mountains – they definitely worth examine in greater detail. For those who doesn’t like and dosen’t accept living in tents it is possible to stay in hotels with facilities in Basshi villiage and travel to all these points by car. You should know that in national park’s office you will be necessarily given a local guide for your group and you have to reserve a seat in the car for him. 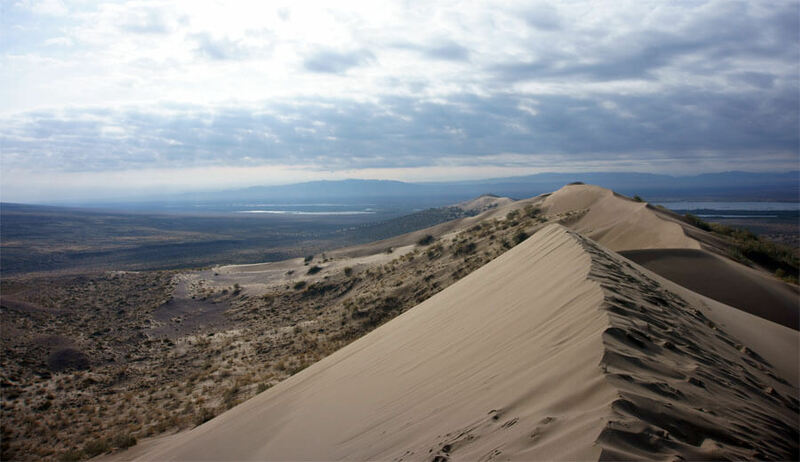 Altyn-Emel National Park is large and the distance you will have to overcome by car is not small. It is possible to drive a passenger car or crossover there but it takes much more time than a good jeep. Roads in national park are dirt roads with a “washboard” – periodically shake you on roughness. 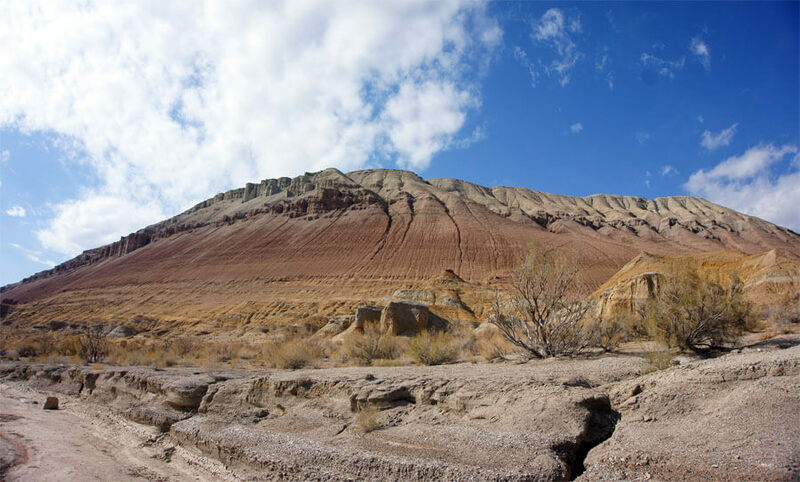 On the low-floor car you will not be able to go fast so it will take more time than SUV.Because of steppen area the most comfort season is the same as in Charyn Canyon – spring and autumn. There are a lot of tourists in summer too, but the strongly scorching sun causes discomfort. Extremely hot. You have to be ready for that. Kolsay lakes. Gradually we are moving from deserts to beautiful mountains. And if we talk about one of the most popular (because of its inevitable beauty) direction then of course the Kolsay lakes and Kaindy Lake occupy the palm. The question “Why?” is inappropriate – you just need to get there and see it personally. I still remember my own feelings when I got there for the first time. To be honest, it was long time ago when there were not so many people and the place was more wild and untouched. But who said that only a few should enjoy beauty? Kolsay lakes consist of three lakes. We would follow our logic and will count from the first lake tourist meet on his way. The thing is that Wikipedia begins its countdown from the third (the first by its version) lake. Considering that very rare person get to the highest lake (the first in our version), we will not call it the first one. 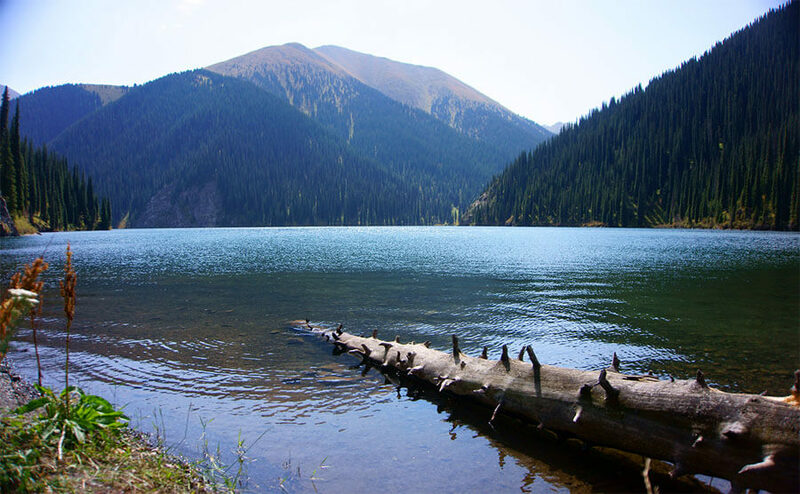 Ok, dealt with that.The first Kolsay lake is situated on 1818 meters above sea level, its length 1 kilometers, width 400 meters and depth 80 meters. The second Kolsay lake – Mynzhylgy – is situated on 2252 meters above sea level, it is the biggest of all three lakes. 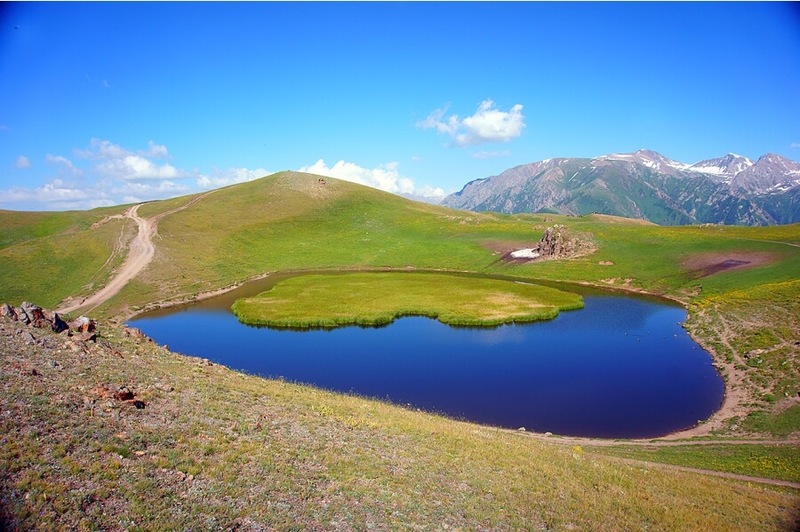 The third Kolsay lake is situated on 2850 meters above sea level. 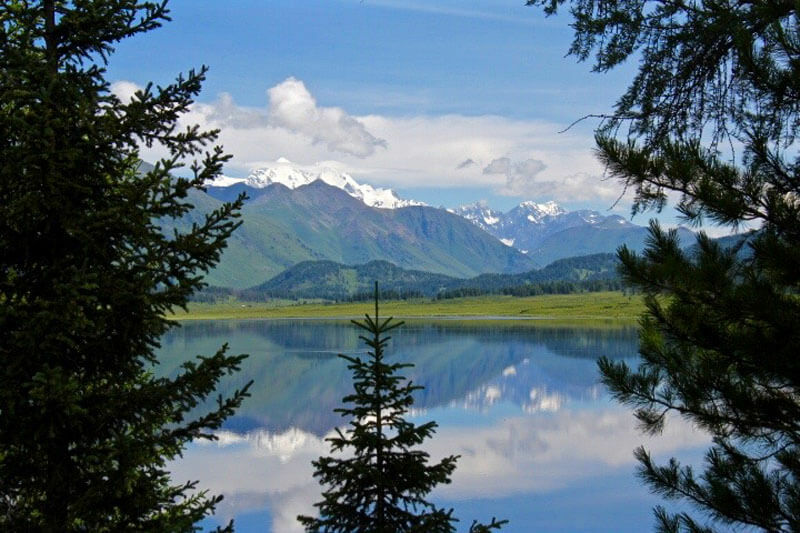 All three lakes are surrounded by a coniferous forest of famous Tian Shan spruce. In all lakes and adjacent rivers live royal fish – trout. For fishing, it is necessary to take permission at the entrance to the national park. At this point in time, i.e. article writing, Kolsai lakes have evolved to a good level of service. And at a rapid pace continue to do so. 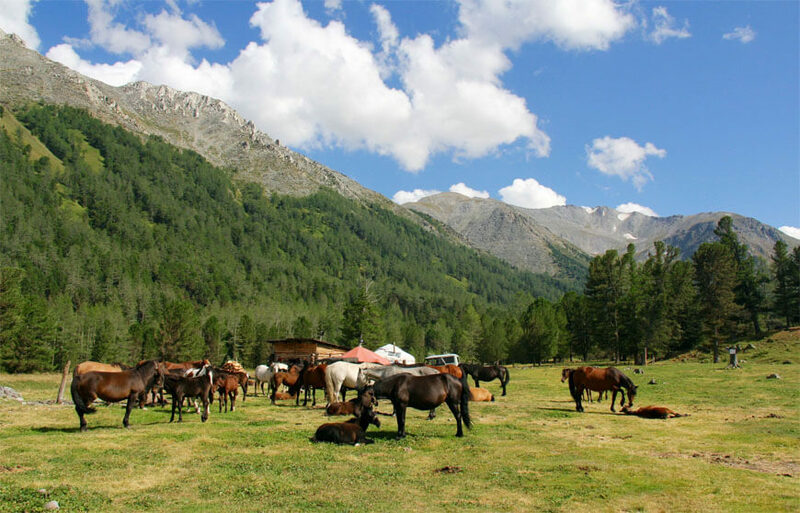 There are yurts, campings, hotels, hostels and guest houses on the territory of national park. The latter are very popular.Locals in Saty village made hospitality their earnings, raising their income and increasing village living standarts. And for a tourist it’s not a big money for (lower than in hotels) and they can fully immerse in local life, get acquainted with traditions and kazakh cuisine. I must say that the most delicious cuisine. In guest houses owners feed for slaughter and most of the products are from their own vegetable gardens, i.e. organic. You can to stay in a yurt and appreciate and get into life of the once nomadic kazakhs. But all of this is only a beautiful addition to a magnificent nature surrounding us. 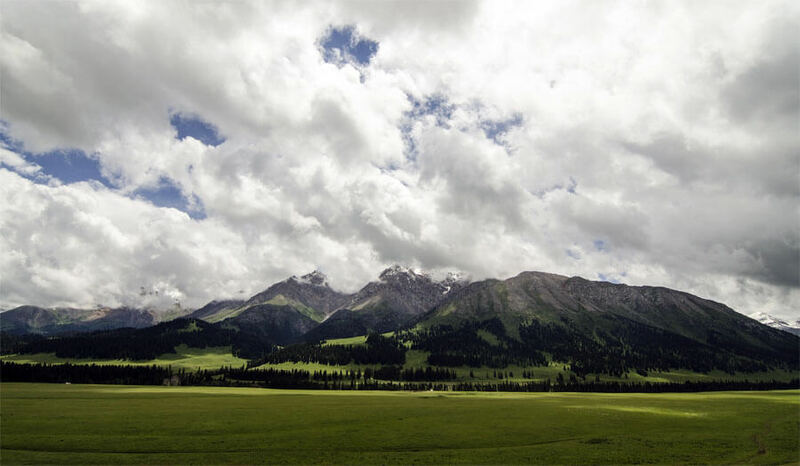 Fresh mountain air, the smell of Tian Shan spruce and breathtaking views make this place so attractive for tourists. It really has its own special atmosphere. People walks from one lake to the another by the marked trail. Actually the third lake is rarely reached and there are few people allowed to go there by the border guards. Anyway if you are going to the highest lake you need to check in with the gamekeeper and leave him your ID card (or passport). You will pick it up on your way back. 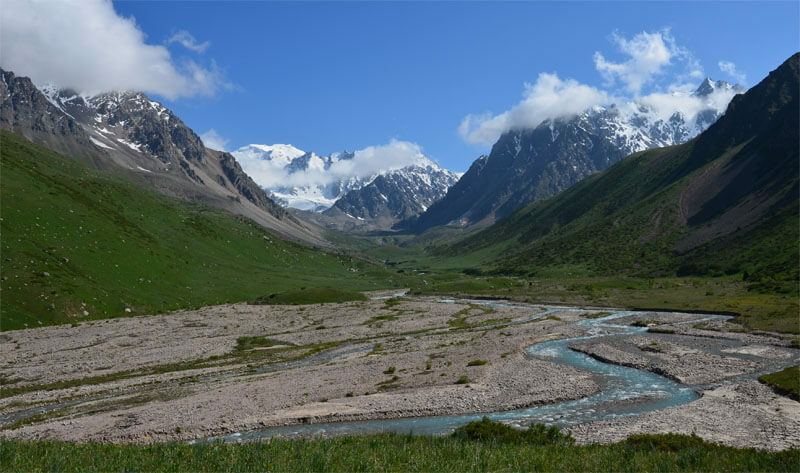 The precautionary measures are understandable – the Kolsay lakes is situated in the border zone and the Kyrgyzstan border can be easily reached from the third lake. This is strictly monitored, and illegal border crossing is strictly punishable by law. If your physical training is far from desired but you are dreaming to see the second lake – it’s not a problem, you can reach it on a horse accompanied by a local guide for additional fee. Getting to Kolsai used to be much harder and longer because of a bad road, but at the moment it is being actively built and stretched to the last village of Saty which which greatly reduces the driving time to the lakes and increases the comfort of passengers.As I’ve been told by locals national park was bought (leased the land) by private investors and in this connection they are building a new, good asphalt road and improving infrastructure, promising to build new modern hotels, etc.Which will certainly increase the cost of this place. Well, we’ll wait and see. Lake Kaindy. It is noteworthy that in many tourist brochures and booklets Lake Kaindy occupies the first pages and thereby attracting interested tourists. 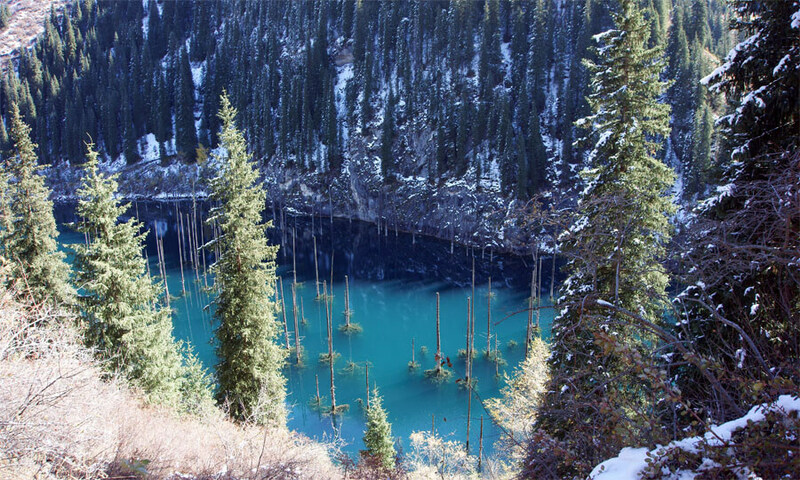 Without any doubt the lake is quite extraordinary and very beautiful – spruce trunks rise out of the bright turquoise water. It can be determined by the clearly defined lines on the trunks that the water level has significantly declined comparing to original. The lake was formed as a result of earthquake in 1911 and decreased because of the mudflow in the late eighties. 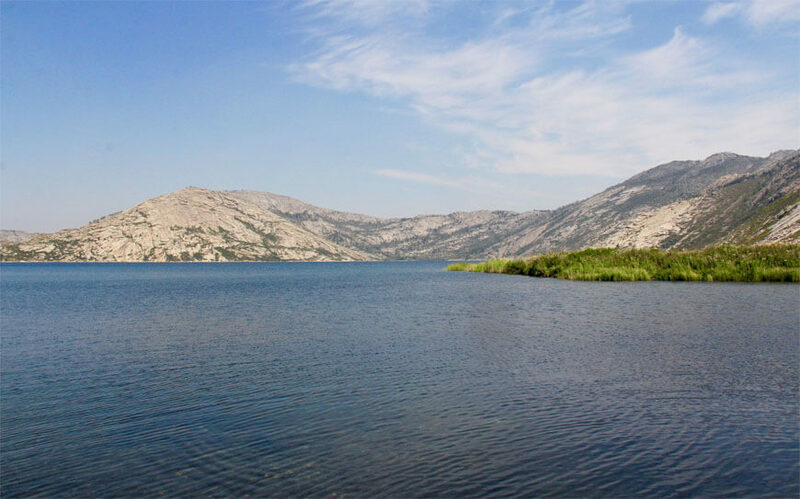 Lake Kaindy is about 400 meters length and approximately 21 meters depth. It is located at an altitude of 1670 meters above sea level surrounded by coniferous spruces. Kaindy is very popular among tourists, its beauty doesn’t leave anyone insensitive. The road from Saty village to the lake is bad, much worse than to Kolsay lakes. Therefore it is possible to get there carefully by crossover and even better on an SUV. Also, locals take people there for additional fee by UAZ but it will be problematic to find a car in the season. Two hours is enough to go around the lake because the gorge leads to a dead end – it is blocked by a landslide. The main season here is summer and early autumn. The possibility to meet tourists there at other time of the year is extremely low. Besides the road will be quite arduous and only experienced driver on a prepared car will be able to drive there late autumn or winter. The lake has recently been popular with divers. Those who doesn’t like to walk can also use a horse, just as in Kolsay. Being in Kazakhstan you should certainly visit this place – such beauty cannot be missed. Kaindy and Kolsai lakes are also of interest in winter. At this time of year, the feeling that I was in a winter fairy tale. Below is a short video about our trip. Turgen Gorge. Turgen Gorge is popular with locals, many families spend their weekends and holidays there due to the presence of a developed infrastructure for tourism. A large river flows in a wide gorge along the road, there are a lot of tables and benches everywhere and excellent well-equipped picnic areas where you can play football or volleyball. An excellent place for big companies. Therefore teambuildings and corporate vents are often held there. There are also yurts with national cuisine: koumiss, saumal, baursaks, kurt and more. Trekking and hiking lovers will also find a lot of interesting things for themselves. Tourists can take a walk to the Kairak and Bear’s waterfalls. Each is beautiful in its own way. If you want more wild and less visited places with incredibly beautiful highland dzhaylau which offer views of high snow-covered peaks you can drive a full jeep tour through the Assy plateau with a trip to the Bartogay Lake. Also one more type of activity such as rafting is popular in Turgen national park. Rafting with the company down by wide and moderately turbulent river will recharge you with vivacity and positive for the whole day. Turgen gorge is rich with vegetation, thickets of barberry, rosehip, wild raspberry, currant and much more can be found here. Another favorite and visitable for many people place in Turgen is a Trout Farm. You personally catch a trout (which is hard not to catch) and give it to chefs who will cook an exceptionally delicious dish of royal fish. Prices are certainly not low but sometimes you should indulge yourself, we live once! Small Almaty Gorge (SAG). This place needs no special introduction. Because all tourists certainly primarily visit Medeo and Chimbulak. Proximity to the city and accessibility make SAG truly attractive. Infrastructure is 100% developed and gives the tourist all necessary conditions for excellent leisure. There are huge variety of hiking routes for people leading active lifestyle, climbing camp, conducting its history from Soviet times, mountain routes of various categories of complexity and much more. 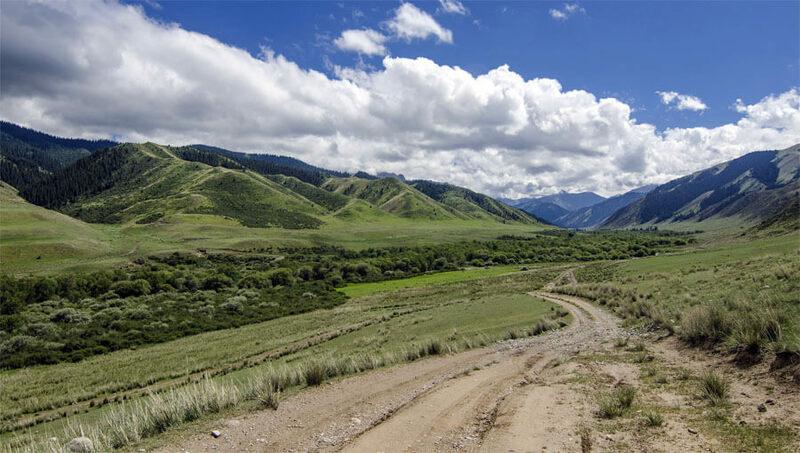 There is nothing particularly to consider here as a jeep tour, because ideal roads leads to Shymbulak, as well as new modern gondola with a fascinating view from the cabin. Drivers who don’t have special passes to Shymbulak area are no longer allowed to drive their cars (only electric are exceptions) to those places, which used to be very popular with jeepers and not only, namely the high-altitude station T1 (altitude – 3,450m above sea level). The prohibition is caused by the struggle for the environment, which doesn’t prevent monopolist taxi drivers (Gas-Gasoline) to shuttle tourists right up to T1. I won’t write too much about SAG, it will require a separate huge article as so great is the variety of routes and entertainment there. Everything can be found on the expanse of the network. As one beautiful and easily accessible place, you can go to Butakovskoe gorge, and, if desired, to go to an easy trek to the waterfall. 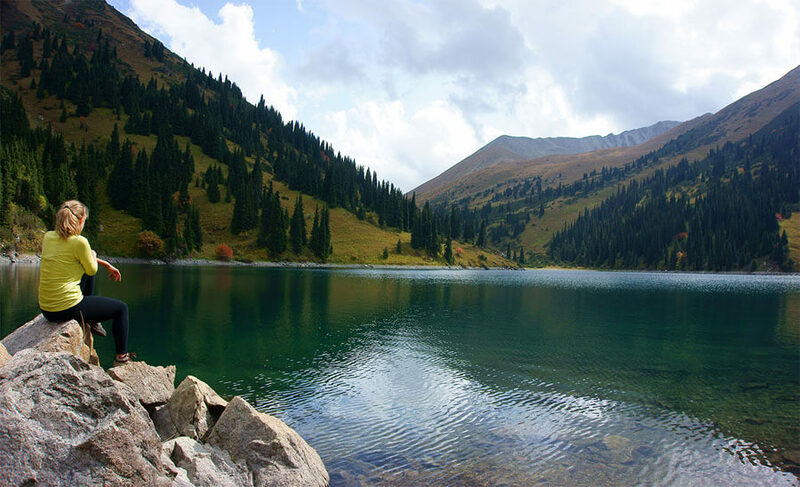 Big Almaty Lake (abbreviated as BAL). 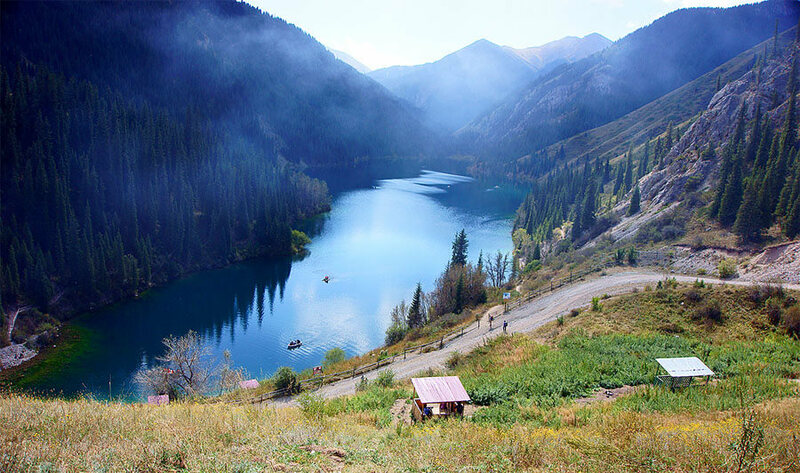 Here, of course, without any doubt and dispures in the first place is the famous Big Almaty Lake (BAL). All local residents and tourists mandatory visit BAL. Just a few years ago the road to BAL was only available to drivers with prepared four-wheel drive cars or hikers. But the constructed ideal road to the Cosmostation blurred the boundaries between people. Now everyone who has a “low floor” is able to get to the BAL, the exception is some cases in winter. In winter, four-wheel drive and spiked tires are desirable, as the road is very slippery and narrow, all the time winding through the mountains.There are frequent accidents on this road in winter, mainly because of people who do not observe the banal rules for operating cars during this period of time and do not take into account the necessary criteria for such mountain conditions.So, BAL is located at an altitude of 2511m. above sea level. 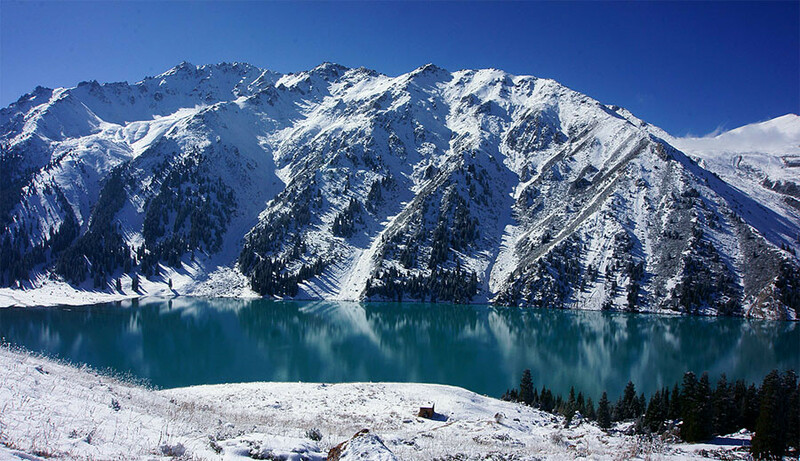 It has the status of a regime area due to the fact that the lake is a source of drinking water for the upper part of Almaty. Therefore, swimming is strictly prohibited. The border guards are always on the lake and they are authorized to check your documents, so you must have them with you. This is a border zone, adjacent to the fraternal Kyrgyzstan, and the strict regime of security observed by the border guards is caused by this fact. The lake itself is 1.6 kilometer long and about 40 meters deep. The lake changes its color in different time of the year. 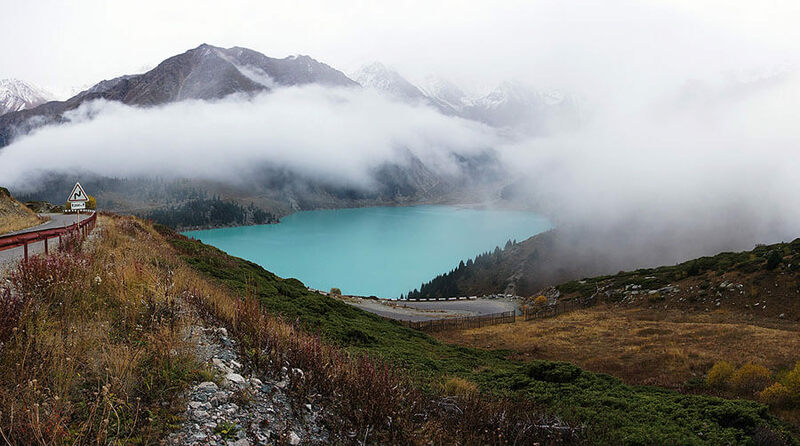 The lake acquires the most beautiful shade in the fall, the turquoise-emerald color takes you into delight and awe. And if you’re lucky, you can catch the moment when the ice start covering the lake, this is one of the most beautiful views that you can witness. I have only twice seen such a picture, although I was there many, many times. Such a picture forever remains in memory. There is a viewpoint on BAL just a bit above the lake from where you can see it entirely. The view is breath-taking: high snowy peaks such as Sovietov, Ozerniy and Skalistiy against the lake. True Big Almaty Gorge is not limited to the lake. Driving up the road we get to the Observatory of SAIS (GAISH). Earlier for 500 tg. at night it was possible to observe the stars in telescopes, now it seems that the observatory is not working, although it may have changed.Going higher on the road we get to the Tyan Shan high Mountainous science station (Cosmostation). It is the highest (above sea level) point of asphalt road in Kazakhstan. Cosmostation is located at an altitude of 3336 meters. Researchers are working at the station, and its name is inextricably linked with their activities. Scientists study and conduct research in the field of cosmic radiation and particles. 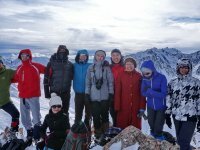 We often go there because of the ordered tours, including hiking to the famous peaks of Tourist and BAP (Big Almaty Peak). It is one of the most accessible ascents to the high peaks because of the opportunity to drive a car so high. At the cosmostation, you can also ski and snowboard until July, there are even rope tows of the Soviet type. The exposition of the slopes and the high mountain conditions allow the ski season in the mountains to last for so long. 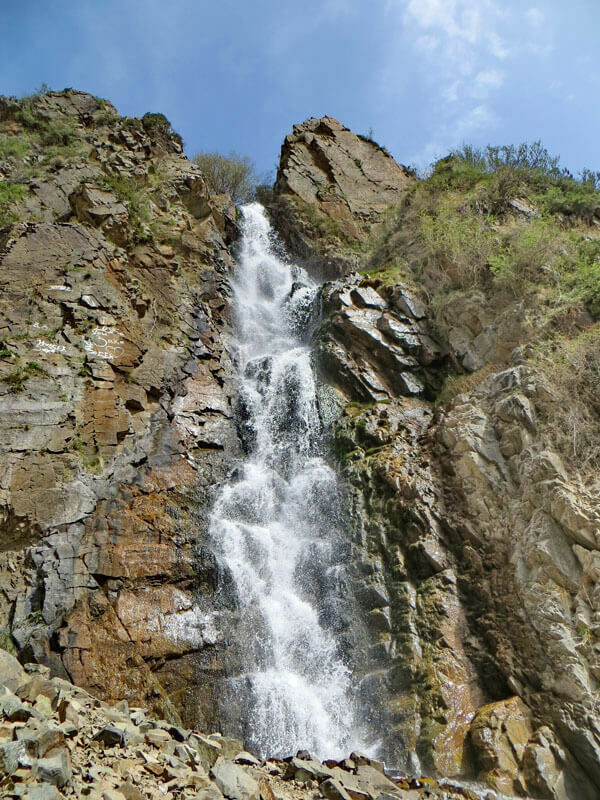 In Big Almaty Gorge there is one more popular place with a nice meadow for picnic and an opportunity to visit Ayusay waterfalls. It is a light hike with opportunity to see beautiful waterfalls. 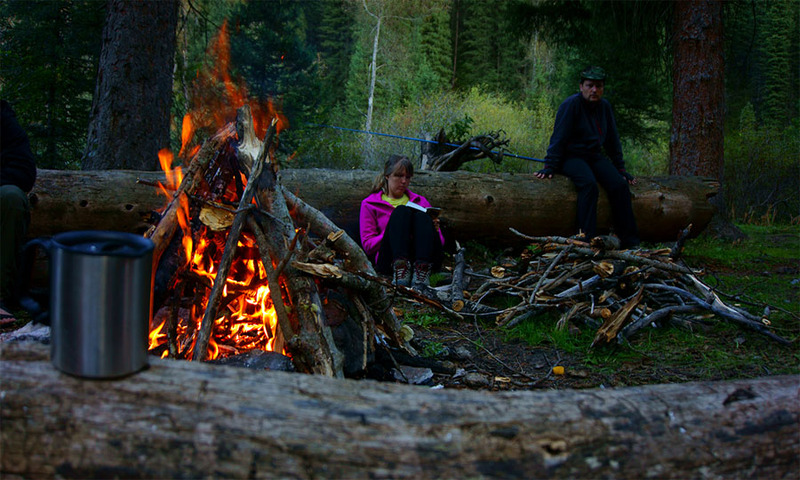 In a season on the Ayusay glade yurts are put up and you can relax there and enjoy national goodies. In winter many with children and sleds come to this place, there are excellent slides here. Fun for the whole family.I wrote about the most basic and popular national parks above. The information there is certainly compressed, not revealing all the possibilities of those places. The more interesting it will be to come, see and study everything by yourself, passing it through your personal experience. Text and photos provide only a preliminary examination of the terrain but the personal inner experience is indispensable. That exactly is what people travel for, accumulating experience and knowledge, acquaintance with traditions and everything accompanying while traveling. That is what actually fundamentally change us and make us better!There are other places which are not as popular as national parks described above, but, nevertheless often are even more interesting and beautiful. The truth here is to understand that these places are more classified as “wild” and there is simply no developed tourist infrastructure, because they do not have the status of national parks. Such tours are suitable for those people who are more interesting in hiking romance with spending nights in tents, camping food, fire and starry sky. With a minimum comfort but maximal solitude with nature almost untouched by man.About these tours I will tell below. At once making an amendment to the fact that this is just a small part, because other tours are constantly appearing on our website and all the time new uncharted places are being opened. Wooden Lake. The name is really out of the ordinary. When I first heard of it, I became very interested, and after viewing the photos I had a strong wish to get there. And that’s exactly what our friendly company did, and not only once. I’ll tell you straight away that I liked the Wooden Lake and now we try to get there at least once a year. It got its name because of the dried trees at the bottom of the lake. They say there were many of them there In ancient times but the attacking sands eventually destroyed the grove. 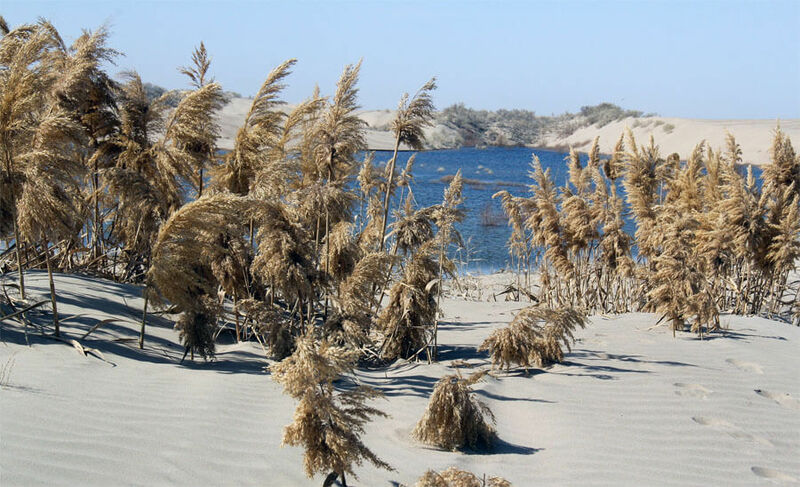 This place is interesting because of the beautiful lake surrounded with a sandy beach and the Altyn-Emel array can be seen in the horizon. There is where to walk and what to see. If you want to see something extraordinary then the Wooden Lake is just that place. Boguty Mountains. These mountains is called not other than the Martian landscapes. Such an association in humans arises because of the colors of the mountains and landscapes prevailing there. Boguty Mountains constitute a two arrays – Ulken-Boguty and Bala-Boguty, located to the east of Almaty. The effect of fantastic landscapes increases if you get to these mountains after the rain. Is it connected with the clay which gets wet and fills local nature architecture with more saturated colors. 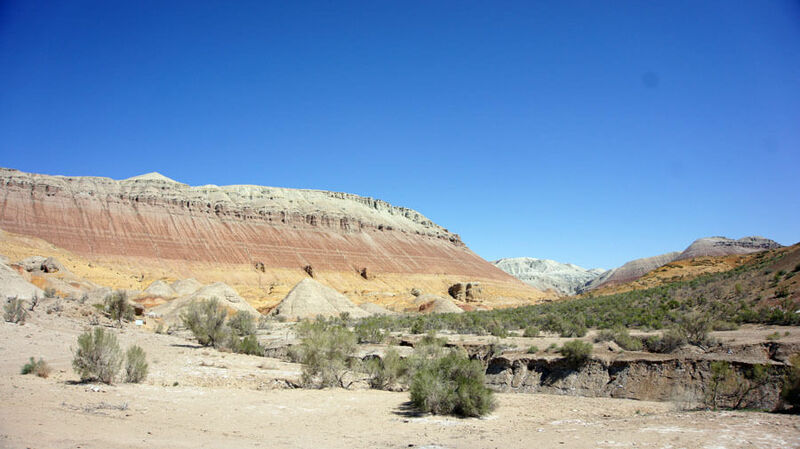 Canyons which have been deformed over millions of years due to rain and moisture dominate in Boguty. To some extent, Boguty reminds reduced Charyn Canion but with a different scheme – Martian. The territory of Boguty is large, you can drive jeep over different places watching all the beauty created by nature. Kakpak Gorge and Tuzkol Lake. This tour is one of the most favorite personally for me. This is that place where there are practically no people because of the remoteness of these mountains from megapolis of Almaty. Many just don’t know about it. In a short time I will write a report about Kakpak Gorge on the site. When I first got there, I was fascinated by the beauty of the Ulken-Kakpak gorge, immersed in greenery and pleasing the eye with infinitely large expanses. The road on this route is only accessible to SUVs because there are real mountain dirt roads, deep river fords and passes waiting for us. In good weather on Tuzkol Lake you can see the highest point of Kazakhstan – the peak of Khan-Tengri (in translation – the Lord of the Sky). Its reflection can be caught in the lake – it’s an unforgettable view. Good pictures can be made at sunrise and sunset. In general, this whole tour will amaze all the time with its pristine beauty, vegetation, valleys, lakes, peaks, turbulent rivers, succulent sky and many others. If you want to find yourself in a mountain fairytale and feel the whole range of emotions from unparalleled beauty then this tour is the perfect choice! Without exaggeration. 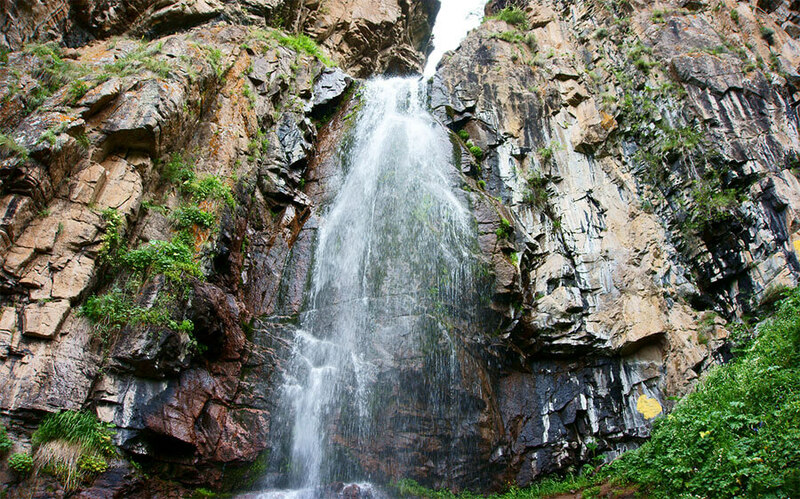 Burkhan-Bulak Waterfall. The journey to Burkhan-Bulak Waterfall is not easy, the last kilometers which run through the mountain area is quite rough. But this is exactly the factor that a man is not a very frequent visitor in those parts and nature has kept its beauty in full. Magic landscapes are waiting for us all along the way, which is why the road always takes more time to the waterfall than planned. Because all the time you want to stop, take pictures and dive into this fabulous atmosphere of beauty and harmony. 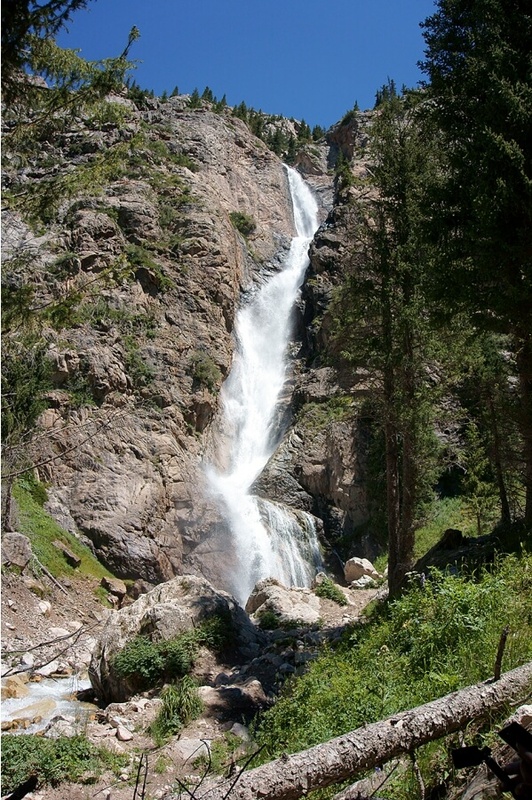 Waterfall itself is the highest in Central Kazakhstan and has a height of 168 meters. A waterfall pulsating powerfully with its flows won’t leave anyone indifferent. Kora gorge will not disappoint too – all of the beauties presented in highlands are certainly present here too. Bektau-Ata. This route is far outside Almaty, in the Karaganda region. It is very far to go there (if you start from Almaty), so this place will be interesting only to true connoisseurs who are not afraid of a long moving. Bektau-Ata is an unborn volcano. Its architecture and forms consist of stone layers. Bektau array in good weather can be seen over 100 kilometers. This place, first of all, will be interesting for photographers, you can take unusual pictures, but there are also places to walk there. Wild this place cannot be particularly called. On weekends and holidays there are enough people, they usually come from Balkhash (which is 60 kilometers away) and from Karaganda. In spring there are many mosquitoes, so repellents are required in Bektau without fail. 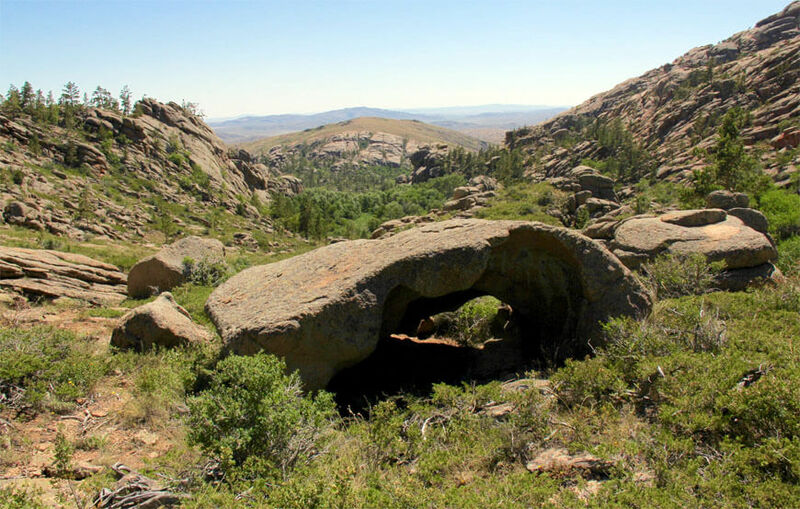 In Bektau-Ata there is the famous Aulie-Tas cave, from the legends it is considered holy and many religious men come there and visit the cave, performing rituals known only by them. Of course, there is still a huge amount of unique places and beautiful nature In Kazakhstan. I happened to travel over many regions of Kazakhstan. I visited almost everywhere by car, only the western part has remained completely unexplored for me. Necessarily should be visited, of course, the East Kazakhstan region (EKR). This is the pearl of our country. The nature there is simply magical, you just drive along the road, winding through mountain serpentines and passes, and look around with the eyes wide open. Constantly stopping and absorbing the whole gamut of surging feelings. Some who have been in the Swiss Alps compare this part of our country with them, but as for me, it is even more beautiful here. At one time, I had to travel a bit around the EKR and I even wrote a few reports of where I was able to go. In the area of ​​Katon-Karagay we visited an interesting location in the mountains called Sarymsakty. I also clearly remember the Sibiny Lakes (or Sibinskie lakes). And of course the most beautiful place that simply formats the mind and allows you to completely “reboot” and become updated is Lake Yazevoe (thanks to Olya for the report). 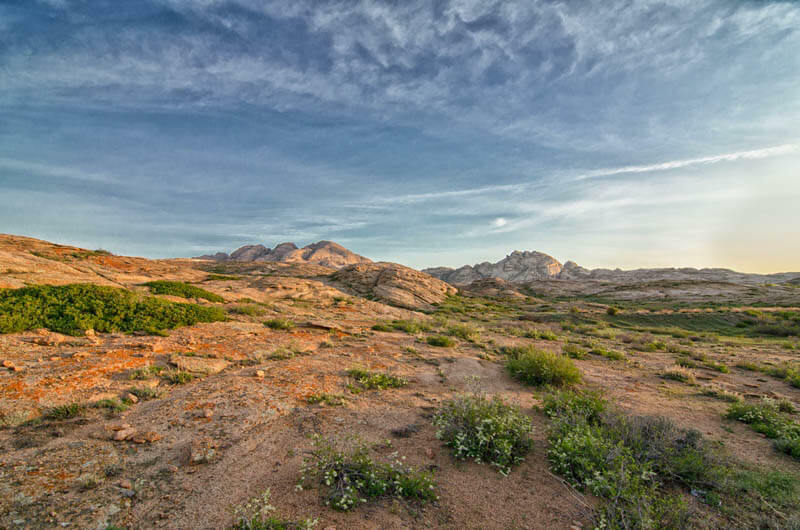 This is only a small part of the natural locations that I was able to visit in East Kazakhstan, and there are still so many places that need to be visited (which we will definitely do in the near future).Once having been in VKO, you will definitely return there. Those impressions and feelings that you experience there remain forever with you, and you want to repeat them without fail. Closer to the north, in the Karaganda region, I was able to visit the newly created SNNP “Buiratau”. Beautiful places with majestic marals peacefully existing in the park. 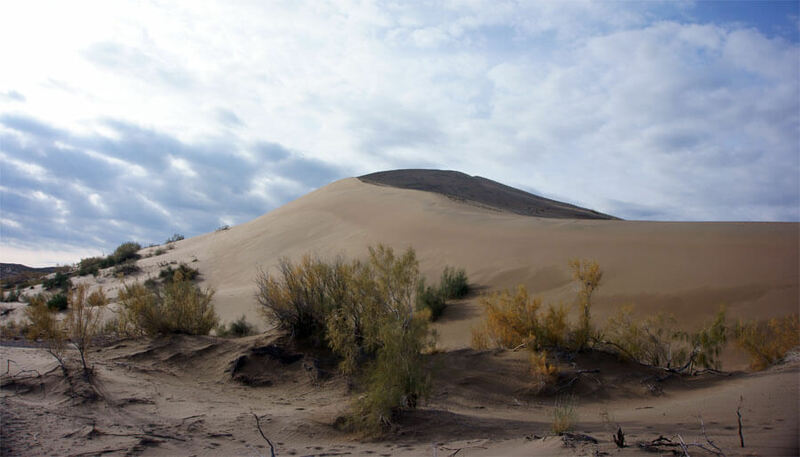 In the same area (relatively), there is an unusual place with the highest point of the steppe – Aksoran. The unconventional architecture and the bizarre shapes of the mountains made a strong impression on me. This is a little-known place where to meet tourists is a rare luck. And this is absolutely not deserved, apparently due to the large distance and low popularity, this unique place is practically not visited. Though in the village of Shabanbai Bi, guest houses work and absorb tourists, operating with the support of the GEF “SGP”. In the guest houses, tourists are fed with real Kazakh national cuisine. Meat lovers will feel themselves like in heaven, it is guaranteed. I recommend everyone to visit this area at least once and go to the top of Aksoran. Well, or not necessarily at the top, but just have a walk in those fantastic places. Personally, I will definitely return there with the team. There are many more places in Kazakhstan where I was, and even more where I was not. The most basic and memorable natural monuments I visited by car are described above. As follow journeys appear, there will be new routes opened, and articles with useful information will be written on our site. 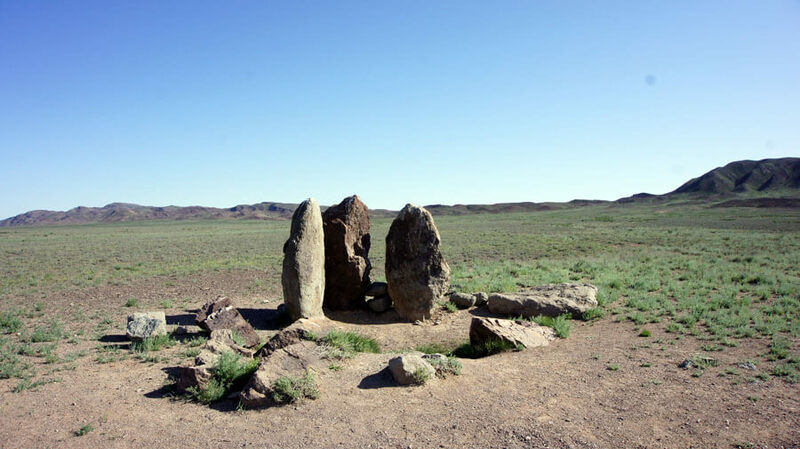 In Kazakhstan there are many sacred and holy places, historical monuments of culture. The history of Kazakhstan is interesting and distinctive, it is a pleasure to study it as you move from one point to another. Our country is multifaceted in all possible aspects. People, life, culture, nature, history, all this will give people, first came to Kazakhstan, a palette of wonderful and positive emotions. During our work, we have already opened and showed Kazakhstan to many tourists from different angles. Many have fallen in love with our country, nature, open and hospitable people so much that return here on their holidays again and travel to new and previously unknown places. We have tremendous tourist opportunities and potential. Gradually, the tourism industry is gaining momentum and is developing more and more. The infrastructure is being improved, roads and hotels are being built. Everything is done for the convenience of tourists. Service is getting better and better. Nature gave us the most unique and diverse natural landscapes and every traveler, a tourist will find a lot of interesting in Kazakhstan. Who sincerely loves nature, is tired of global civilization and wants to simply enjoy the beauty and virginity, breathe in the purest mountain air, watch the green sprawling zhaylyau, stretching to the horizon steppes, high snow-capped peaks and much more available in our vast country – Kazakhstan is the best place for it. Once having been here, you will definitely want to come back. And our team, if you wish, will organize everything you need. Excellent knowledge of the area and our extensive experience in organizing tours and travels in Kazakhstan will give you the opportunity to forget about all the vain affairs, trust us and fully enjoy the rest. We sincerely love our country and what we do. Contact us, we will do everything in the best possible way. If you need advice on any issues, then also contact us, we will always be happy to help and share our knowledge and experience!